Mabey Bridge is a manufacturer of quality steel panel bridging. Our market leading range of modular bridges and expertise delivers infrastructure solutions around the world. We have supplied over 140 countries to customers including national military forces, NATO and National Governments. Magellan Aerospace (UK) Ltd is a subsidiary of Magellan Aerospace Corporation who is a leading global supplier of technologically advanced aerospace systems and components. As one of the most integrated and comprehensive aerospace industry suppliers in the world, Magellan designs, engineers and manufactures a wide range of aeroengine and aerostructure components for aerospace markets, advanced products for military and space markets, and complementary proprietary products for the power/oil/gas markets. Magellan produces repair and overhaul (R&O), test, and aftermarket support services for a variety of engines, and engine structural components.Magellan enjoys strong supplier relationships with Original Equipment Manufacturers (OEMs), space, civil, and defence organizations and sells to the global aerospace markets. Magellan is recognized by its customers for its innovative technology, original concept design, quality manufacturing, and total program solutions. Maher Limited is an International supplier of superalloys, nickel and cobalt alloys, titanium, maraging, vacuum melted stainless steels and copper alloys in bars, plate, wire and forgings. It also offers in-house cutting, heat treatment, testing and CNC machining facilities. Industries served include Aerospace, Defence, Power Generation, Motor Sport, Oil & Gas, Marine, Petrochemical and Electronics. Maher holds ISO 9002 and AS9100 standards. Individual customer approvals include Rolls-Royce, BAE Systems, Messier Dowty and Honeywell. A complete list of approvals can be found in the Glossary. The company stocks a wide range of alloys including : * High temperature Alloys 718, 625, 80A, and A-286 * Composite tooling Alloy 36 Invar and Kovar plate and bar. * Copper -Nickel, Aluminium Bronze and Hiduron. * Maraging Steels in grade 250, 300 and 350. Maine Surface Finishing Ltd is a specialist provider of protective coatings and steel fabrication, working as a strategic supply chain partner to an impressive client base of internationally respected customers, spanning a range of sectors, including Materials Handling, Automotive, Oil & Gas and Construction. Maine Surface Finishing has over 17 years’ experience in the application of Powder and Wet Paint protective coatings to mild steel, aluminum, plastic, glass fibre and galvanised substrates. Our ICATS (Industrial Coatings Applicator Training Scheme) approved applicators and in-house ICorr (Institute of Corrosion) qualified inspectors supply shop applied paint systems to NORSOK and ISO Standards. Our 20,000 sq ft fabrication facility is equipped with 2 x 10 tonne and 2 x 5 tonne gantry cranes. We have the technical expertise and production capabilities to fabricate complex assemblies and sub-assemblies consistently to the highest quality standards, whilst achieving OTIF (on-time-in-full) delivery. Our in-house personnel can provide a comprehensive service - from complete fabrication through to surface finishing, delivery, supported by a highly experienced technical advisory service. Our welders are highly competent in MIG and TIG - skilled in welding a range of substrates including mild steel, stainless steel and aluminum; where required, we can deploy coded welders to meet customer specifications. Since 1995 when the company was founded, Majenta has evolved to become one of the most highly respected infrastructure solution providers in Europe. Majenta’s solutions consist of Storage integration, Engineering & design software, Data hosting, transmission, translation, Product Lifecycle Management (PLM) and Professional classroom and on-site training. Headquartered in Brentwood, Essex and with sales, technical support and training offices throughout the UK, Majenta has value-added reseller agreements with many leading names, and proudly boasts industry recognised accreditations with Autodesk and Siemens. Majenta Solutions counts some of the world’s largest and most respected manufacturing companies among its customers, as well as many small-to-medium size businesses (SMEs). These customers operate in a variety of industry sectors, including the automotive industry, aerospace and defence, industrial and consumer durable products, high-tech products, architectural design and media and entertainment. To ensure that the highest level of service and the appropriate expertise to these companies is offered, Majenta is staffed by experts in their field who are there to help customers maximise the benefits that will accrue from their investments in computer hardware, software and in the data that they create and distribute. Importantly, Majenta’s expert staff, also provide consulting services to help customers find the right solutions to their problems, as well as providing on-going technical support and on-site and classroom training, to enable customers to become as productive as possible in the shortest possible time. British owned and based manufacturer of hydraulic powered, vehicle lifting equipment designed and built under ISO9001 and supplied with a five year warranty. Founded in 1978 Mann Engineering is a Sub-Contract CNC Precision Machining Company producing complex high quality components to a wide range of industries. Specialists in Precision Turning. Our State of the Art CNC Facility produces complex, high quality components in sizes from 3mm - 63.5mm on bar feed and up to 200mm diameter in billet form, in various materials from standard mild, stainless steels and non-ferrous materials, to high grade steels and exotic materials, whilst using the latest technology in Multi-Axis lathes, in low to medium size volumes. Apart from the pre-requisite price and quality, OEM’s are looking for other key options from their suppliers. They are looking for supply partners that can impart their niche technical knowledge to improve their parts and processes, to deliver on-time when they need (Kan-Ban) and direct to line with no need for incoming inspection. • To provide our customers with the best service we possibly can, both in terms of cost effective sub-contract machining, on time deliveries and best in class quality. • To partner with our customers and suppliers as well as consult with training and development agencies to ensure we continue to meet all our present and future obligations as a top class service provider. • To continually invest in the most up to date equipment, processes and training to meet our customer’s expectation. • To develop training programs that allows us as a team to respond effectively to all customer expectations. • To meet and exceed that expectation every time. Mann Engineering is not just another supplier, we partner with our customers to ensure they meet all targets in terms of both delivery and quality. We utilise our decades of experience to the benefit of our customers. Proof of this is shown in that a large proportion of our customers have bought into this partnership with our company for more than ten and some even over twenty years. Established in 1992 Mapaero Manufacture and Develop coatings for the Aerospace industry. A pioneer in the industry Mapaero were the first company to provide water reducible chromated coatings for aerospace in Europe and have since been synonymous with the innovation of aircraft paints that benefit the environment with Many solutions for Low VOC and Non Chromated paint systems. Mapaero hold OEM certifications which include Airbus, Boeing, Bombardier, Embraer, Dassault, Safran and Rockwell Collins. The Mapaero team based at French headquarters support subsidiaries working out of the UK, Germany, China and the U.S.
At Marks & Clerk, we make the complex world of IP manageable. As the largest IP firm in the UK and one of the largest in Europe, we provide a full range of IP services, covering patents, trade marks, commercial legal services, licensing and litigation. Our national Transport sector group brings together Automotive and Aerospace experts from across our eight UK offices, who focus on the IP issues and challenges in the sector. The breadth and depth of technical know how and practical experience across our offices ensures we have deep seated understanding of all major technologies and technological sectors. The strength and breadth of our national team of experts means that we have the expertise to support our clients across this sector. We act for a range of clients which vary from well-known global market leaders to SMEs. Marlborough Communications limited has been active in RF Communications and Signals Intelligence for over 30 years. We supply advanced electronic and surveillance technology- whether we've developed it in-house or sourced it from partners worldwide - and we support it throughout its life. MCL is committed to the consistent delivery of quality delivery of quality solutions and enhanced levels of customer satisfaction. The success of our approach is reflected by our achievement of preferred suppliers Status with many of our customers, and by the frequency with which we can win repeat business. With a 200 year history in UK rope manufacturing, Marlow Ropes have earned an outstanding reputation for quality and technical innovation for pioneering defence and special forces products around the world. This reputation is born out of innovative designs that have been tried and tested in the world's harshest environments and toughest combat zones. Marlow are known and respected around the world for British design and innovative engineering with products ranging from the pioneering Fast Rope insertion and extraction series, to dynamic ropes such as the well known highly durable 'Black Marlow' abseil rope and the technical collection of heat resistant and high performance ropes. Marlow's Combat Vehicle Series ranges from tow, winch and recover systems and has been used across the defence industry to aid the recovery of armoured vehicles. The newest product in this range is the Rhino Tow Rope which has outstanding strength and lightweight benefits, as well as being quick to install and offers a safer option for changeovers. With offices in the USA, and a global distribution network, our headquarters in the UK houses our R&D centre and specialist production units and its from here that we manufacture and distribute quality British made products to 100 countries worldwide. Always look for the Black Marker (registered trademark in UK & Europe) to spot a genuine Marlow rope. Marontech Communications is a marketing and communications consultancy specialising in the defence, aerospace and security sectors. The company has many years of experience in delivering programmes which achieve results. Marontech's core skills include planning and strategy (writing marketing plans and developing campaigns to help companies and brands with positioning and messaging), media relations (developing and implementing programmes to establish your relationships with the press), public and government relations (creating a dialogue with all your stakeholders), corporate marketing (developing campaign capture plans including influence charts) and marketing communications (brochures, exhibition presence, advertising campaigns, all marketing communications collateral). We have offices in both England and Northern Ireland, but can be reached on the same telephone number and e-mail address wherever we are. Marshall Slingsby Advanced Composites Design and Manufacture Structural Composite Products to provide Problem Solving solutions for Aerospace, Defence, Mass Transit and Energy Supply industries.Marshall Slingsby Advanced Composites is accredited to AS EN 9100 which includes ISO 9001. The company holds Civil Aviation Authority approvals EASA Part 145 and Part 21 sub parts G and J. Manufacturing techniques include wet laminating, vacuum assisted resin infusion, filament winding, resin transfer moulding and pre-preg laminating using autoclave/out of autoclave techniques. Marshall Aerospace and Defence Group specialises in the conversion and modification of military, civil and business aircraft, alongside defence vehicle engineering and shelter manufacture. Its capabilities include engineering design, manufacture and test and the provision of personnel, training and advice, whilst providing maintenance, integration, manufacture and product support. Marshall Aerospace and Defence Group holds many type approvals, granted by national and international authorities, airline manufacturers and defence agencies which enables the Group to design and certify modifications on a number of commercial and military platforms. Marshall Aerospace and Defence Group is part of the Marshall Group of Companies that employs over 6,000 people with a turnover in excess of £2.7bn. Marshall Aerospace and Defence Group is a respected total solutions provider for the military and commercial sectors. For over 28 years Martec has supplied performance engineered interconnection solutions for critical, specialist applications that operate in harsh and demanding land, sea, air and space environments. Martec’s global specialist connectors solutions are currently operating in global Aerospace, Defence, Security and Space industries. With our glass to metal seals and interconnection solutions airborne aboard military aircraft, both fixed wing and rotary, surface and submersible Naval vessels, on land based vehicles, across multiple Military and Civil platforms and on numerous Defence programs and Space projects. Martec has the experience, expertise and capability to create custom interconnection solutions to match your needs. Find out more www.martec.solutions or contact us direct +44-1227-793733. You can also follow us on Twitter @MartecLtd and find us on LinkedIn. With over 150 years’ experience in the rubber trade, and many of those years as a supplier to the Aerospace and Defence Industries, we are ideally placed to offer both technical consultancy (including Finite Element Analysis), as well as prototyping and volume manufactured goods to Aerospace specification. Products such as: seals, grommets, arm rests, gaskets and washers and other bespoke rubber mouldings. Martin-Baker is the world's longest established and most experienced manufacturer of ejection seats and related equipment. The Company has also developed a range of special crashworthy seats for helicopters and a range of fixed-wing crew and mission seats that can be fitted in most maritime patrol and reconnaissance aircraft. Martin-Baker has headquarters in Denham (England) and locations in France, Italy, and the United States. The Companys' recent ejection seat designs use an on-board electronic sequencer to sense various factors such as speed and altitude to optimise control of the operation of the seat. The latest Mk16 range of seats has been competitively selected for the Raytheon T-6, Korean Aerospaces KT-1 and T-50, Pilatus PC-21, Northrop T-38 and F-5, Aermacchi M-346, Dassault Rafale, Eurofighter Typhoon and the F-35 Lightning II. Backed by over 60 years of experience, Martin-Baker has saved over 7,400 aircrew lives in 93 Air Forces around the world. MASS is a high technology business, operating in the defence and security markets. We harness technology to deliver trusted services and solutions that improve the security, efficiency and effectiveness of operations in government, industry and educational establishments. Full life cycle coverage is provided including applied research, analysis, design, development, system integration, support, managed service delivery and training. Our expert areas include electronic warfare operational support; secure communication systems; secure networks; cyber security; integrated solutions, test systems and data management. We have a core competence in multi-level security and the ability to develop, support and assure highly secure information systems is a particular strength. The company was founded in 1983, joined Cohort plc in 2006 and is based near St Neots in Cambridgeshire with offices and a state-of-the-art training facility in Lincoln. We combine our expert knowledge and state-of-the-art materials analysis tools to solve your materials, manufacturing and reliability problems. Our services include reliability and failure analysis, microscopy and imaging, compositional analysis, mechanical testing and technical representation. 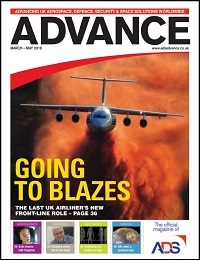 Browse the latest edition of ADVANCE, our official quarterly magazine.